This cute little guy is Grautier (grey animal, but also a name for a donkey). 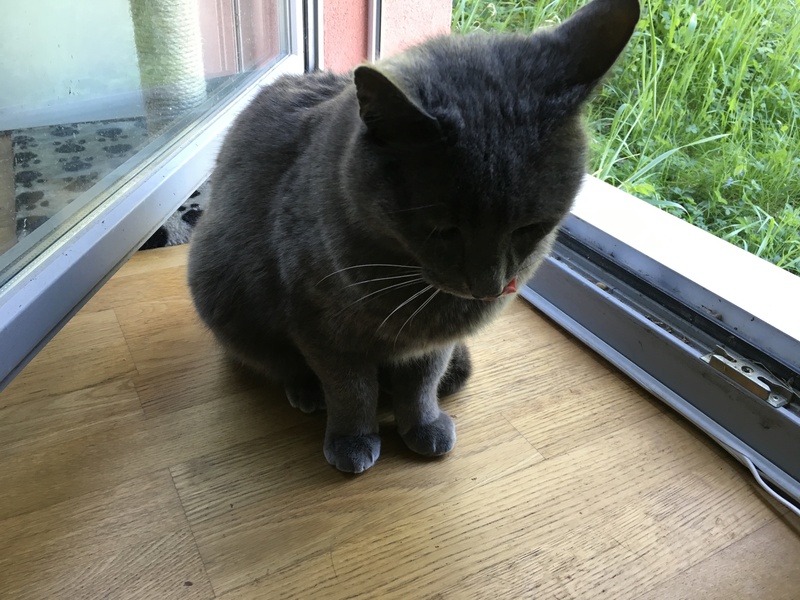 He lives somewhere in our neighborhood and visits us several times a day to get love and food. He has been doing this for several years already, and when I decided to make a cat-inspired collection of knitting patterns, of course I had to make one for Grautier as well. If Grautier were a human, I’d imagine him as an old-school gentleman with a hat and an elegant scarf, so I used the stitch pattern I designed for him for a scarf or, if you prefer, for a cowl. His cowl features simple lace and cables and I’ve used an awesome yarn we brought home from Sweden last year, Soft Lama by Svarta Fåret. 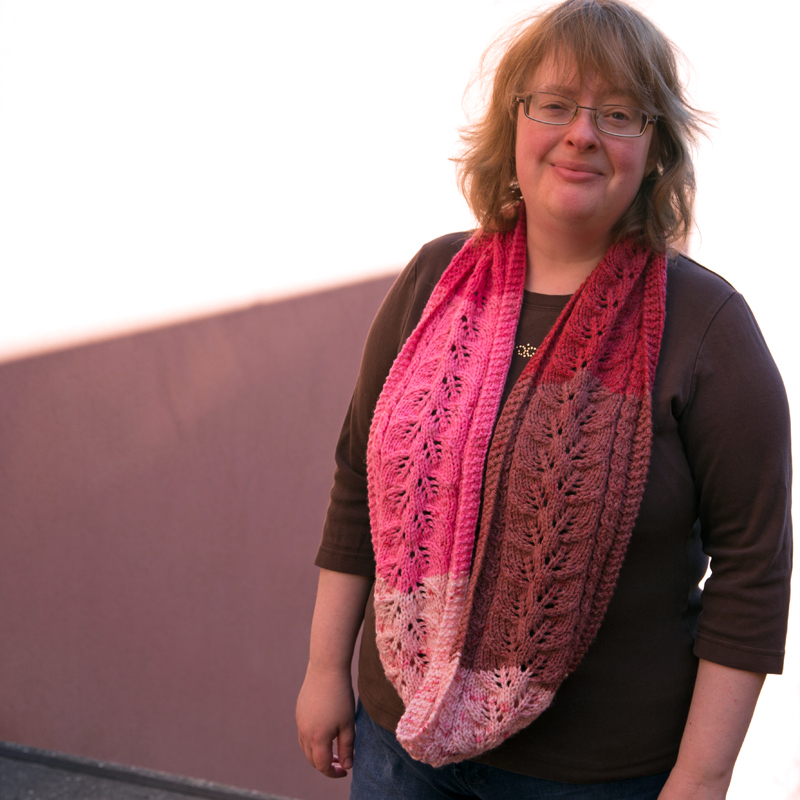 The pattern is on sale until March 15th, use the coupon code Grautier to receive it for 25 % off! just like the cycle of seasons throughout nature. 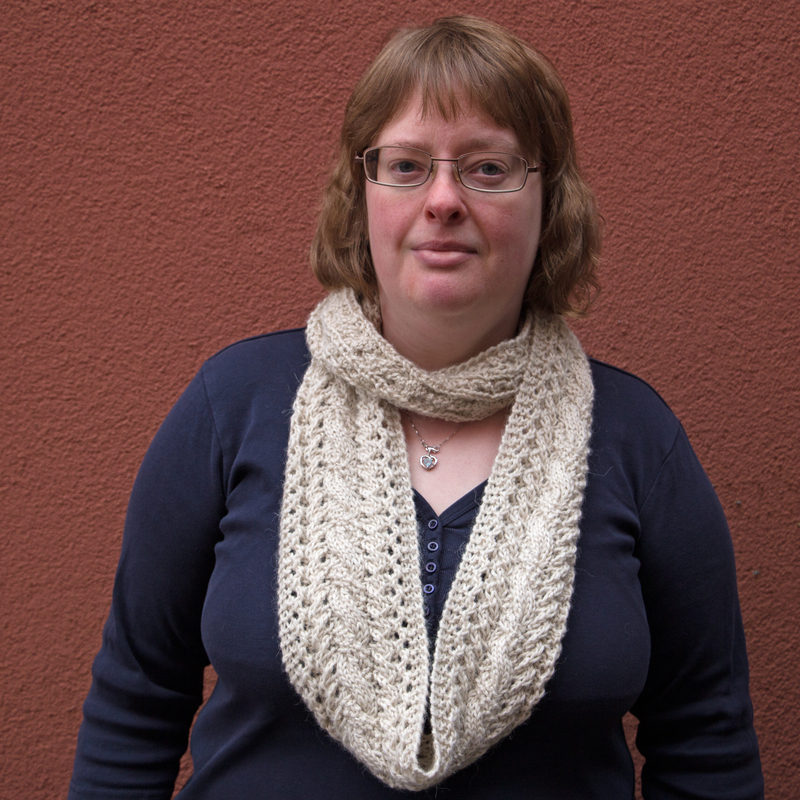 Don’t be intimidated by the complex look of the pattern, it is rather easy to knit. No cabling required, these are mock cables, made by passing a stitch over another. That makes it a quick knit.